In partnership with HOMAG, IVM Chemicals is continuing to expand its technical center in Herrenberg, creating a space to showcase application solutions live and let customers test out materials with the help of coating machines and technical specialists. Finding the right coating for a wood surface is an art in itself. It is often only possible to know which combination achieves the best results by running comprehensive tests using special application systems. In many cases, it comes down to the subtle details of a particular material component to ensure a perfect finish. 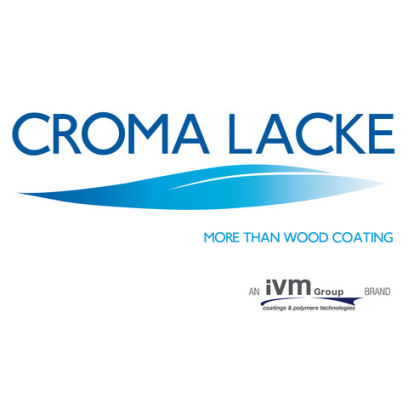 To help secure top results with its "Croma" range of coating products, IVM Chemicals already offers its customers expert consultation and advice. Qualified technicians develop customer-specific applications in direct consultation with the quality management team to adapt the coating systems to the specific parameters required for processing and the surface properties. What's more, the German subsidiary makes full use of the international expertise available from specialists at the IVM Group research and development labs. But IVM Chemicals is now going one step further. The company is currently expanding its "Technikum" technology center at its Herrenberg site, creating a space to showcase application solutions live and let customers test out materials with the help of coating machines and technical specialists. As part of the expansion, a cutting-edge, high-efficiency spraying unit is being installed in partnership with HOMAG and the well-established Makor brand. The technology center will also feature a combined nozzle channel with TL and IR dryers to simulate different air volumes and temperatures. Last but not least, new rollers and UV lamps are being installed to test and demonstrate "Croma" coating applications to the standards of the latest machine technology and UV roller systems used in the parquet and door finishing industry. Hesse's new pocket-sized COLOR Reader quickly and precisely matches the shades customers select from color charts at the touch of a button.